Published by PR Web, USA on Jul 05, 2016. Chairman Paul P John and Master Distiller Michael D’souza announce the launch of award-winning Single Malt Whisky in the American market. John Distilleries Ltd.(JDL), one of the world’s leading specialists in the creation and production of Indian distilled beverages, has launched Paul John Indian Single Malt Whisky in the United States. Chairman Paul P. John, together with the wisdom and extraordinary skill of Master Distiller Michael D’Souza, set out to break the mold and create the “Great Indian Single Malt Whisky.” Distilled from the warm and tropical beaches of Goa, Paul John Indian Single Malt Whisky is a premium spirit crafted from six-row barley grains that grow in the foothills of the Himalayas. Harvested in the summer, the mature six-row barley is responsible for the distinct smokiness and flavor of Paul John Whisky. 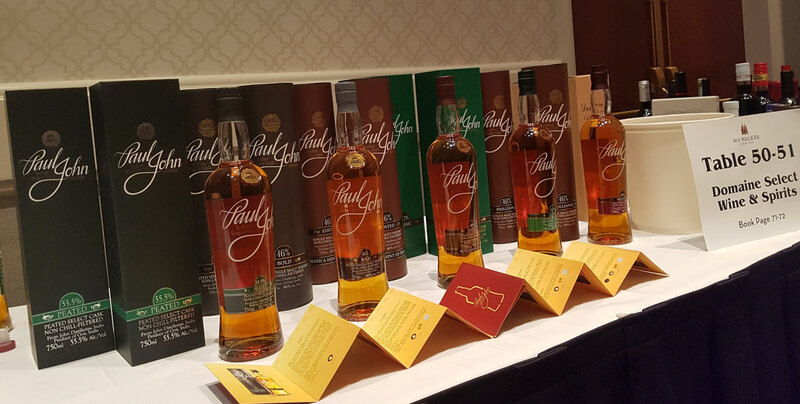 “We are excited to introduce a range of Paul John Whiskies in the United States. Goa is a sensual delight of both sea and spice and the people here are welcoming and lively. They slow down and appreciate beauty, exactly the way a fine single malt should be experienced,” explained Chairman Paul P. John. Paul John Single Malt Whisky is an award-winning premium spirit distilled in the tropics of Goa, India. Crafted from six-row barley grains that are grown in the foothills of the Himalayas, this superb single malt is aged for a minimum of five years. Carefully crafted during each stage of the whiskey-making process, its sweet and smoky aromatics have made this award-winning whisky a standout among connoisseurs and whisky lovers around the world. In 2016, Jim Murray gave Edited a Liquid Gold score of 96.5 and Brilliance a score of 94.5. Both Paul John Brilliance and Edited received a gold medal from The Spirits Business Awards, and silver medals from both the Consours Mondial De Bruxelle Spirit Selection Awards, and the Wizards of Whisky Awards.